As I have explained before in previous blogs, Bitcoin is an online digital currency that is gaining exponentially in popularity every day. In addition to how many people are using Bitcoin now, at the time of writing this, the value of each coin (please remember that it is not, and never will be actual, physical coins) is at an all time high, and continues to rise daily. So if you are thinking of investing in this cryptocurrency, there really has never been a better time. Some countries are now even recognising it as a legitimate currency, which means its strength (and value) will likely continue to rise. With the value of it skyrocketing, and its ease of use both online and in real life becoming easier and more prevalent, Bitcoin is shaping up to become the currency of the future. Some basic questions about Bitcoin can be found here, but below I’ll quickly recap how it is doing today. One Bitcoin was set to rise to $2000 by the end of 2017, which in itself would have been a huge rise in value, but smashing that by seven months, they passed $2K per coin in mid May and it continues to rise daily. This value may sound irrelevant if you don’t already have some, but with the growth looking like it has no ceiling, it really is never too late to get involved. To put the growth into context, these coins were almost worthless seven years ago – on 22 May 2010, Laszlo Hanyecz made the first real life Bitcoin transaction, where he bought two pizzas for 10,000 Bitcoins – as of today, that pizza would have cost him $23,750,00! So as you can see, that is either a very, very extraordinarily delicious and expensive pizza, or one hugely regrettable purchase from Laszlo. Obviously this monumental spike in value has changed some people’s lives and made millionaires of the early Bitcoin adopters who may have seemed crazy when they mined (we will get to that in another blog) thousands of Bits early on, but are now reaping all the rewards. By now you know, I’m a huge fan of this cryptocurrency, and recommend that you get involved as well. 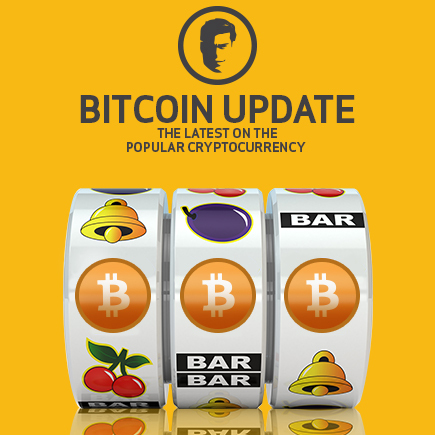 Oh, and by the way – we accept Bitcoin at Joe Fortune Casino! It’s so fun! I love the pokies.